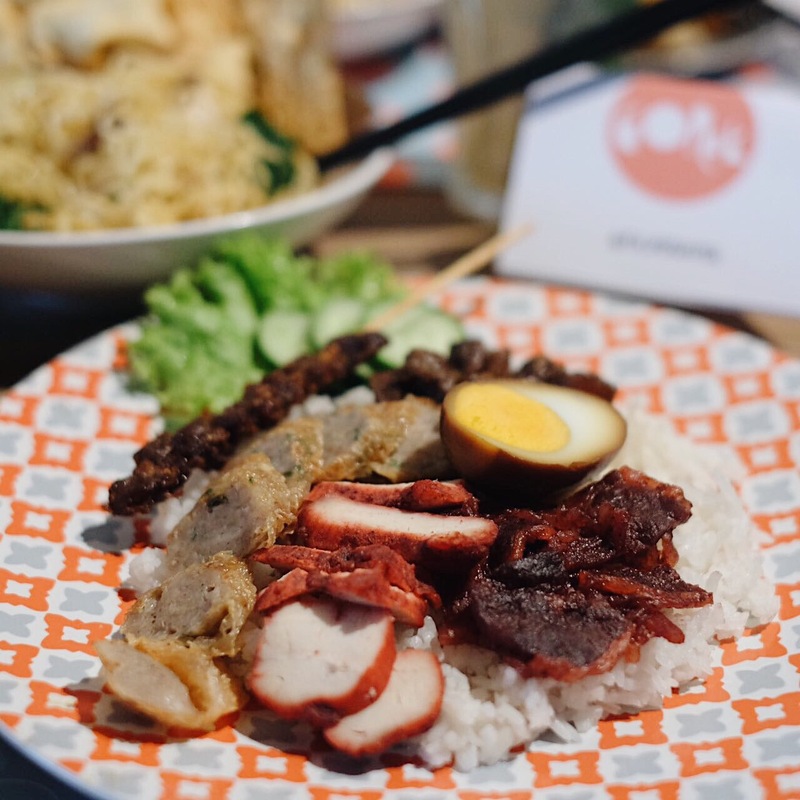 Calling out Indonesian food lovers around! Let me introduce you one of the newest restaurant in town, SOON, when I said soon it means real soon! Yeah, praise to Indonesian food. Personally, I'm kinda Indonesian foodie, that really into Indonesian food, because Indonesian food is very wide and attractive for sure, and also Indonesian food got some influence from another culture and the one that have a very big impact to Indonesian culinary is Chinese culture or we usually group this agriculture into "Peranakan" yes Indonesian Peranakan Cuisine. 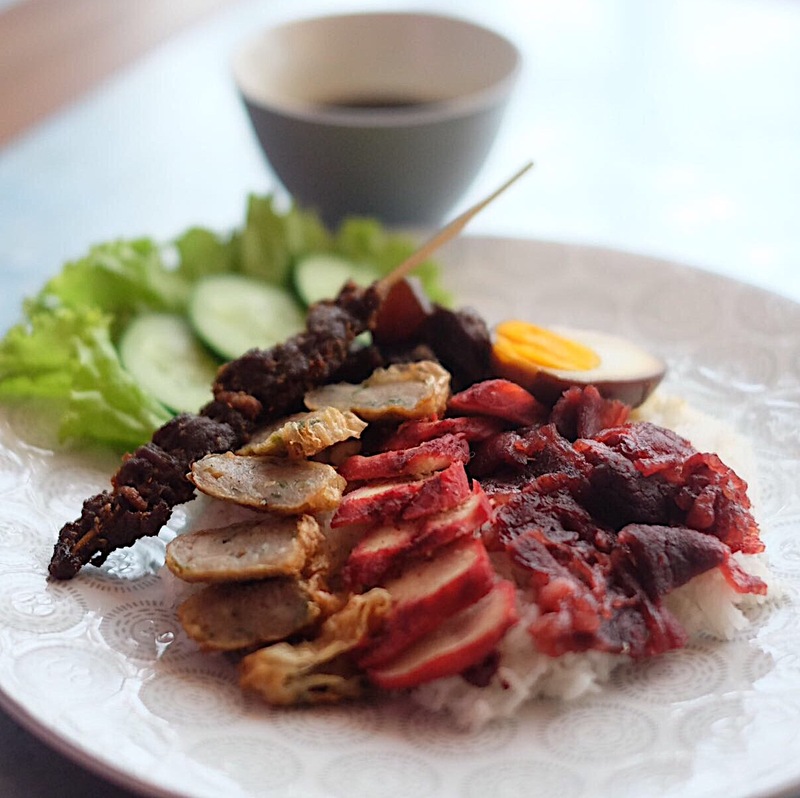 Recently many restaurant claim as Peranakan restaurant and here we come this month, GOPEK Restaurant. GOPEK Restaurant will open on 8th August 2017, they're under Sarirasa Group that also manage Sate Khas Senayan, Sate Khas Express, Tesate, and 1945. I'm so in love with all of their restaurant, because they're all Indonesian food! 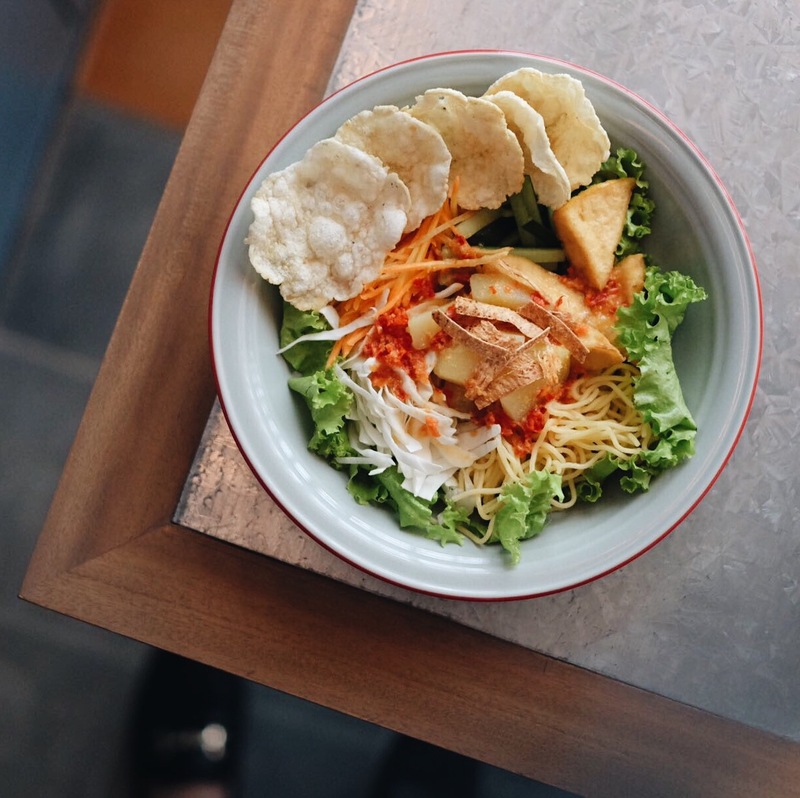 From comfort to fine-dining, all Indonesian food and we should be proud of it. In a glance, GOPEK appears to be slightly different when compared with Sarirasa Group's existing restaurant brands as it serves Indonesian Peranakan Cuisine. 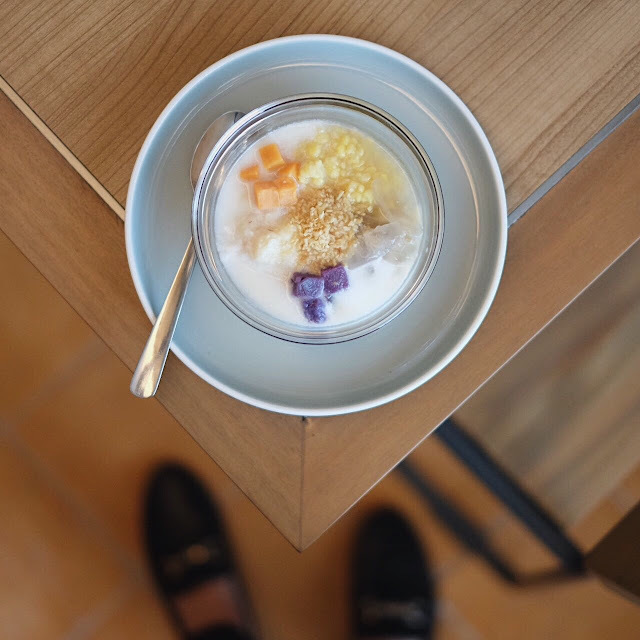 Before we go further, let us brush up on the history of Peranakan Cuisine. Peranakan Cuisine, also known as Nyonya or Baba cuisine, are dishes that were originally introduced by the Peranakan. The Peranakan are the children of the early Chinese migrants in Indonesia, Malaka and Singapore who the married the local, creating an assimilation which gave birth to the unique Peranakan Cuisine, so it's a marriage between Chinese recipes with local cooking technique and vice versa. 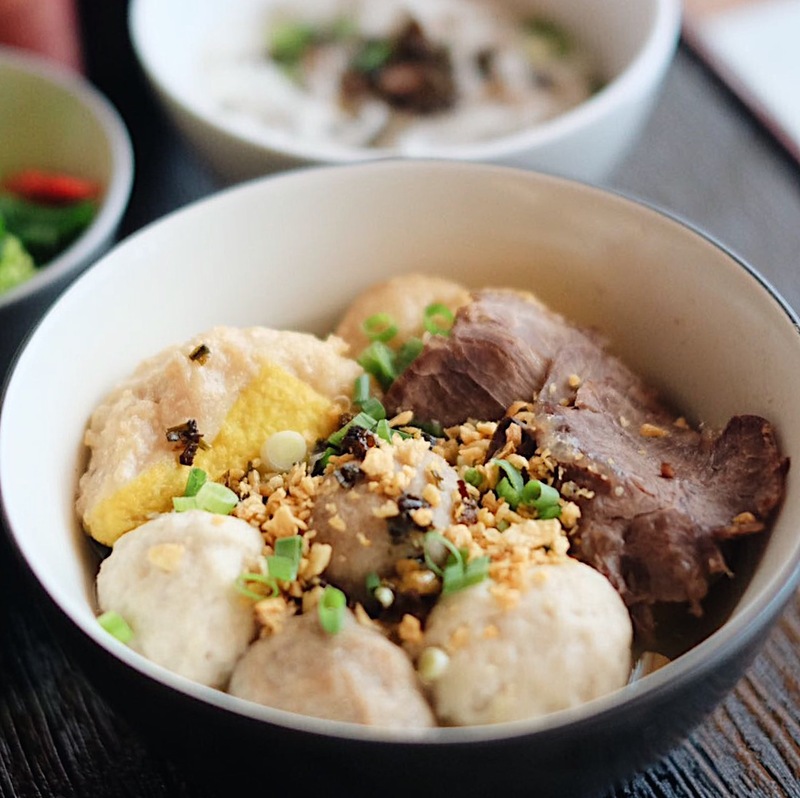 In Indonesia, Peranakan dishes such as Mie Ayam (chicken noodle) and Bakso (meatballs) have become Indonesian comfort food. 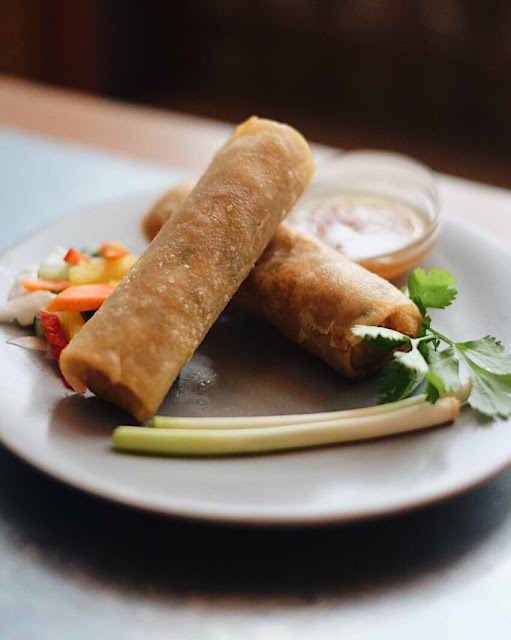 Despite it;s popularity, only a few realize that the people of Chinese descent brought these dishes along with their Peranakan culture. 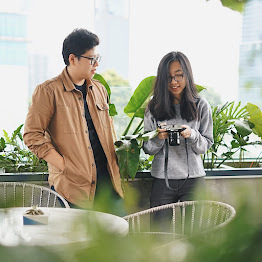 As the saying goes "Tak Kenal Maka Tak Sayang", GOPEK as a casual Indonesian Peranakan Restaurant does not only serve the young food enthusiasts with delicious comfort meals, but also to use Peranakan style in it's communication, to entertain them with Peranakan culture. 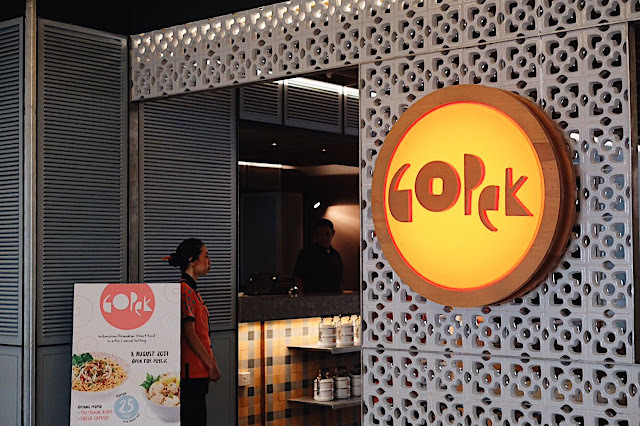 GOPEK is located in Grand Indonesia Shopping Town lv. 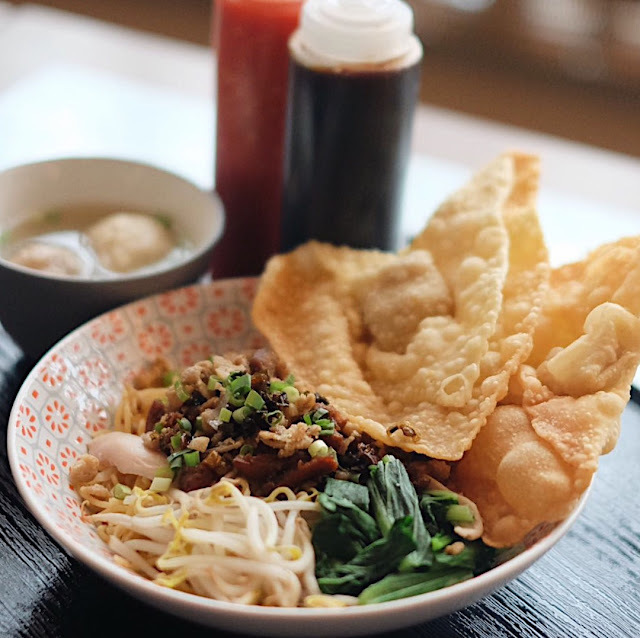 5 just next to Sate Khas Senayan, so it let you decide whether you want the authentic Indonesian food or their Peranakan dishes. 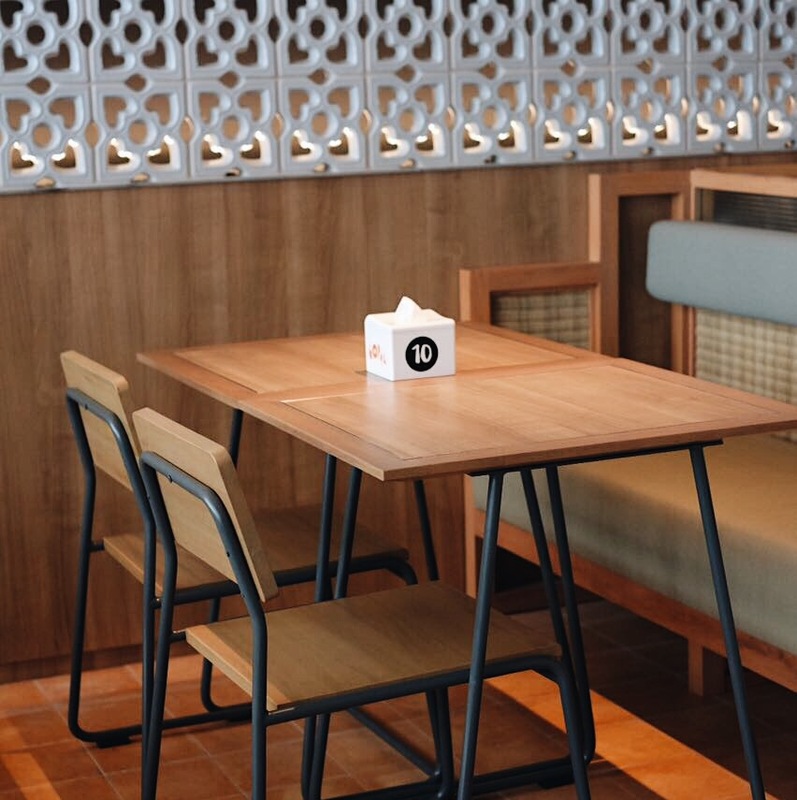 GOPEK interior appears with youthfullness and fun through the use of Peranakan element while it's fixtures cozy yet trendy setting, a concept that surely will be loved by youngsters. Once guests step inside, they will be welcomed with chinoiserie pattern highlighting GOPEK's Peranakan concept. Meanwhile, the Chinese wooden lanterns emphasize GOPEK as a to go while looking for Chinese influenced dishes. Let's move to the food. The menu here is divied into several sections, namely Appetizers, Main Course and Desserts focusing on comfort foods, customers will find a wide array of dishes they are familiar with, such as Lunpia, Bakwan, Mie Ayam, Nasi Campur, Es Kacang and the restaurant's signature beverage Sari Alang-Alang and Sugar Cane Juice. Let's see what it looks like! Another good opening dish, Rujak Juhi (Smoked Squid Salad), this is one of Indonesian or maybe Jakarta exotic dishes, I usually find this kind of dish at Chinatown and usually just simply at food-cart and now they served in proper way. 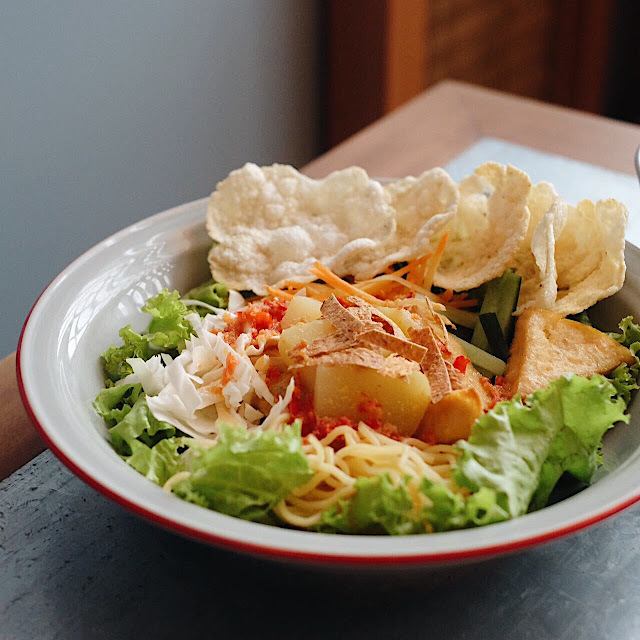 The ingredients just like usual, contains of noodle, lettuce, tofu, potato, cucumber, cabbage and of course the "juhi" served with peanut based sauce mixed with sweet and sour chili with melinjo crackers as the garnish. 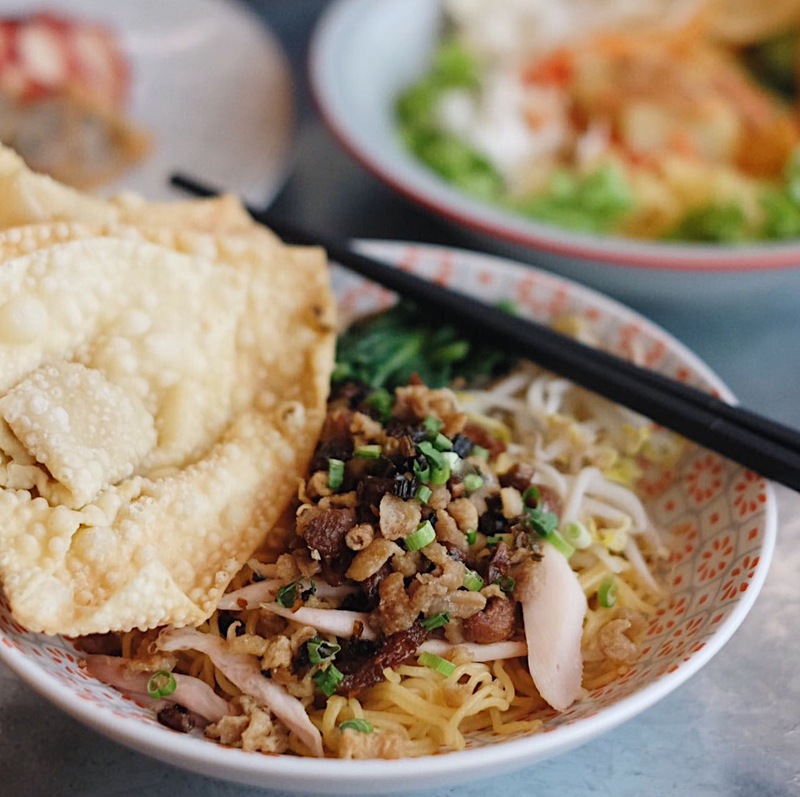 The classic Indonesian peranakan dish, chicken noodle! I bet none of you doesn't like this crave-able food, I'm one of the big fan of Mie Pangsit, here they served traditionally with some touch of Peranakan style, or maybe we can say as Singaporean style that using fish cake, because actually noodle is a marriage between Indonesian and Chinese, taste also rich and it's way more clean rather than usual chicken noodle. Very refreshing dessert! 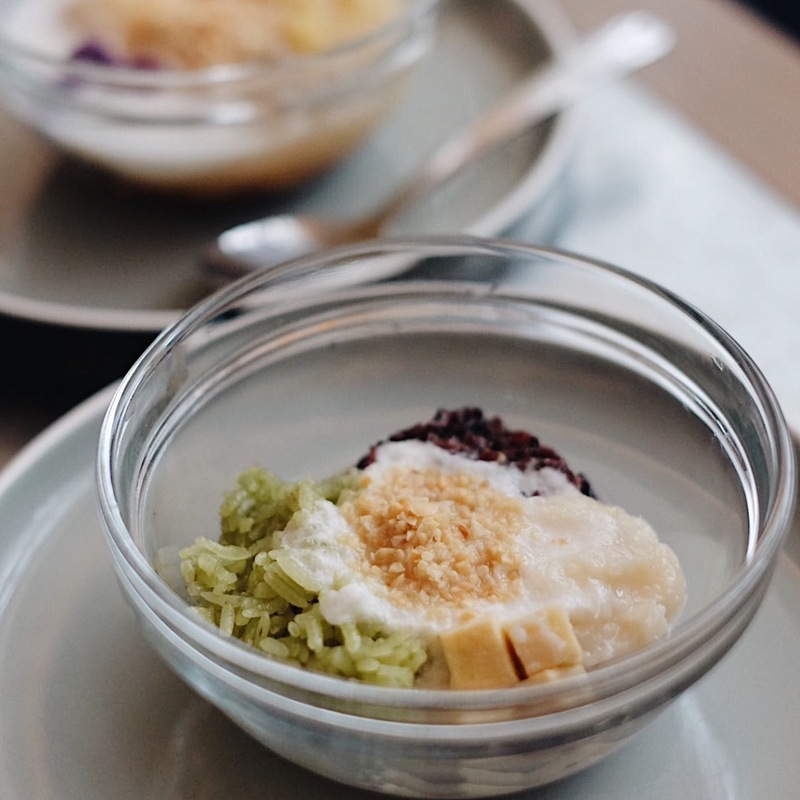 The classic es dawet or also known as cendhol, it's very authentic dessert of Peranakan, here they served chendol with many ingredients, bread, sticky rice and also shaved ice, don't forget the palm sugar, perfecto! 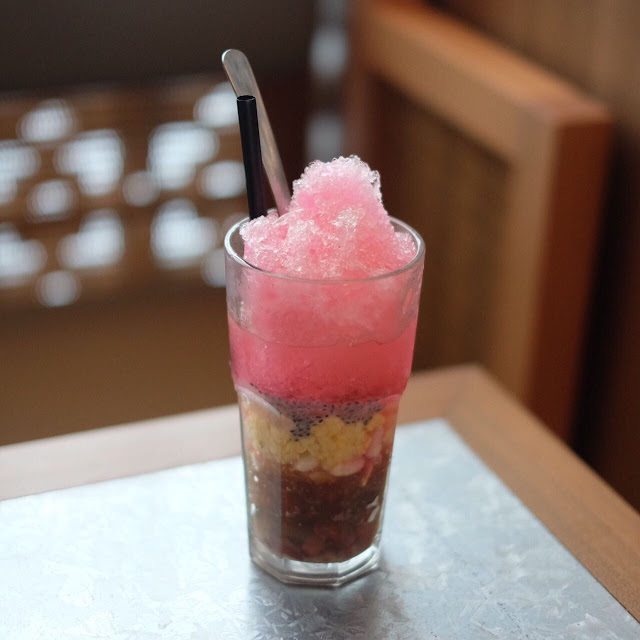 Another classic peranakan dessert, I do love Es Kacang or in Malaysia or Singapore usually Ais Kachang, of course contain red bean, another nuts, tape, selasih and ice also syrup, refreshing enough! 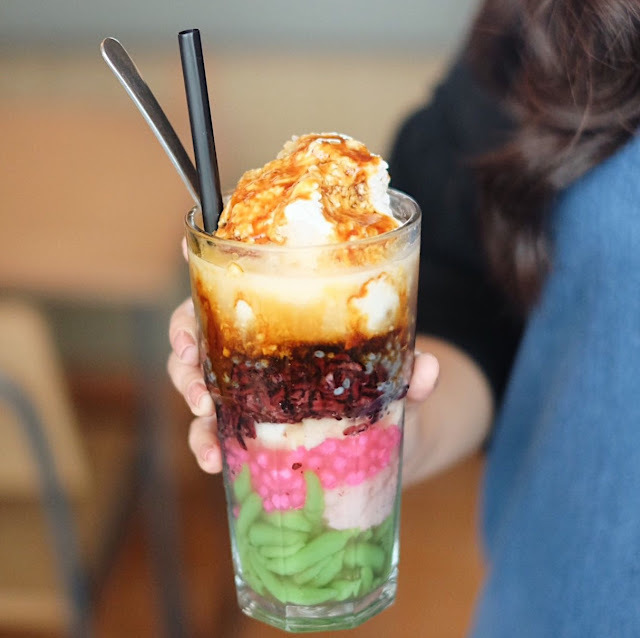 The one and only Kolak Ubi & Bubur Talas, not the cold dessert but the warm one, just another option if you don't like too heavy desserts, because it's more warming. 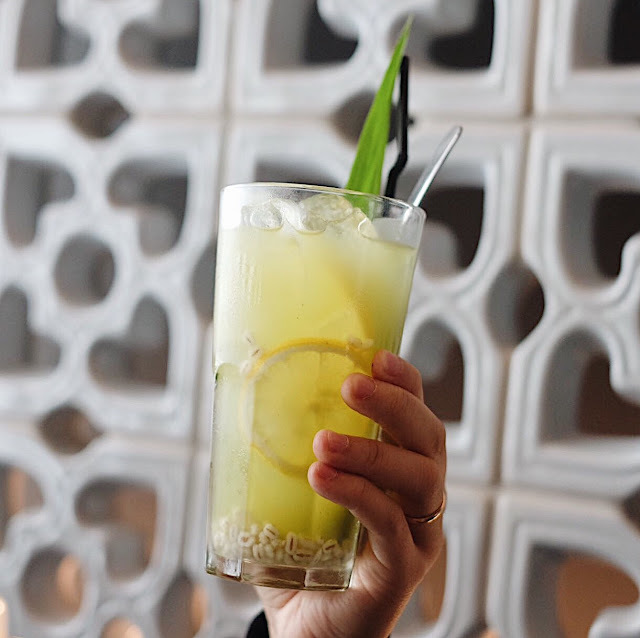 The drink also special, the combination between sugar cane, barley and lemon! Have some sweet, sour and also earthly flavor, a nice option.